With so many apps on my Android phone, there are naturally a lot of notifications. Many of them can be dismissed without ever reading. 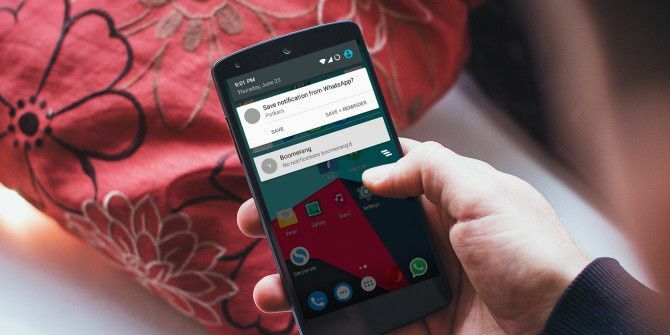 I’m glad there are built-in tools to block notifications from any app How to Disable Notifications from Any App in Android How to Disable Notifications from Any App in Android Getting annoying ad notifications on your Android device? Turn them off quickly and easily. Read More , but some notifications are frightfully important. The trouble is that notifications don’t respect my time. They show up when they want to, not when I want them to. Picture this. You’re in the middle of a busy work day. Ding! You get a notification about a message from your friends about meeting tomorrow. You want to get back to them, but you’re “in the zone” right now. However, if you don’t do it right now, you’ll forget all about it later. Wouldn’t it be easier to just set a reminder that makes this notification pop up again at the end of the day? Boomerang Notifications brings a solution to the reminder problem. It’s the simplest yet coolest app I have seen in a long time, and it immediately makes me wish this was a core feature in Android. Here’s what Boomerang does. Every time you get a new notification from select Boomerang apps, it will present two options: “Save” or “Save+Reminder”. As the names suggest, the former simply saves the notification so you can check it later, while the latter saves it and adds a reminder. The Reminder is similar to how Google Inbox’s “Snooze” feature saves you time 10 Super Efficient Ways Inbox by Gmail Saves You Time 10 Super Efficient Ways Inbox by Gmail Saves You Time Inbox by Gmail is Google's most recent approach to email organization and management. It can give you a simpler email workflow. Find out if Inbox by Gmail can be the better choice for you. Read More . You can choose “some time later” (to be reminded later today), “some time tomorrow” (to be reminded the next day), or “at a specific time and date” (to set exactly when you want to see that notification again). It’s all done in a few taps, and you’ll be ready to get back to work in a matter of seconds. Saved notifications, of course, can be viewed at any time. Boomerang has a persistent tile in your Notifications Shade, telling you how many saved items you have. A persistent tile is any tile that can’t be dismissed. In this case, Boomerang’s tile is optional. Tap it to check your saved notifications, as well as the upcoming reminders. You can even add a reminder for any saved notification by long-pressing it. Now, before you think Boomerang is going to become a hassle by constantly making you choose whether you want to save a notification or not, don’t worry. You get to select which apps Boomerang works its magic on. So if you like Google Inbox on Android and its reminder feature Google Inbox Review: A Breath Of Fresh Air Google Inbox Review: A Breath Of Fresh Air Gmail is a household name in the email department, but Google wasn't content with it. Meet Google Inbox, a new way of approaching email. Read More , disable it in Boomerang’s settings and continue to use it as you always do. But if you use Gmail, which doesn’t have a built-in reminder feature, then you just got it through Boomerang. The only down side is its data consumption. Some users on the official Play Store page for the app are reporting that it ate a lot of data. That hasn’t been my experience with the app, which is still at less than 8MB when used for over a week. Overall, it’s surprising how well Boomerang fits into your daily use. It doesn’t feel like an app, more like a system feature you hope to have in Android N Everything You Need to Know About Android N Everything You Need to Know About Android N Want to install Android N or just learn about the next Android version? We've got your back. Read More or any future version. It just works, it never feels intrusive, and it makes your life easier. Plus, it’s completely free and has no in-app ads. Another app that features Boomerang’s core functions, Notif Log has been around for some time now — and it offers to do even more. The first thing you need to know is that Notif Log isn’t a part of your existing Notifications Shade. It requires its own, but that’s not much of a bother since it creates a hotspot at your system clock. Just like you drag down from the center for your Notifications Shade, drag down from the clock time to draw the Notif Log Shade, filled with all your notifications. Like Boomerang, you can “snooze” a notification as a reminder by swiping left on it. The defaults are 10 minutes, 30 minutes, and “later” where you get to specify the time. You can also change these defaults — something Boomerang doesn’t let you do. Notif Log can’t save notifications for later, but it can pin them so they stay persistent at the top of your Notifications Shade. That means they can’t be dismissed until you unpin them, serving as a visual, always-on reminder. It’s a good thing too, since visual task lists can power your personal productivity How Visual To-Do Lists Can Power Your Personal Productivity How Visual To-Do Lists Can Power Your Personal Productivity Do you like visual to-do lists or do linear lists make you more efficient? We look at five visual tools that are make your daily planning more interesting. Read More . In case you don’t want to pin an item but still see it until you dismiss it, long-press any notification to rearrange the order you see. The free version of Notif Log, however, is plagued with an ugly ad banner at the bottom, and it uses data since it has integrated analytics. The Pro version removes these ads and the integrated analytics, which also makes it better for your Android permissions What Are Android Permissions and Why Should You Care? What Are Android Permissions and Why Should You Care? Do you ever install Android apps without a second thought? Here's all you need to know on Android app permissions, how they've changed, and how it affects you. Read More . In many ways, Notif Log is superior to Boomerang Notifications. The swipe gestures and the ability to pin notifications are super useful. Plus, it is extremely customizable, letting you change background colors, fonts, and other details. Heck, it also has an incredible Android widget The 11 Best Widgets for Your Android Home Screen The 11 Best Widgets for Your Android Home Screen With so many widgets for Android, which are the best? Here are the best Android widgets for weather, notes, and more. Read More to see notifications on your homescreen. However, two things are a bother. 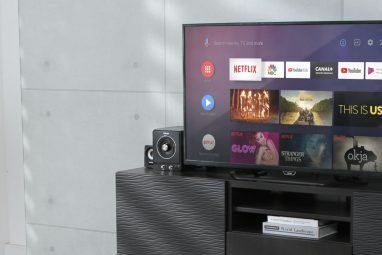 First, it doesn’t feel like a cohesive part of your Android system. Requiring its widget or its own Notifications Shade means that you are duplicating your notifications. Your regular Shade still remains there. It just doesn’t feel slick. Second, the ads are a big problem. If you’re using the free version, that means your Notifications Shade will guzzle data and battery life 10 Proven and Tested Tips to Extend Battery Life on Android 10 Proven and Tested Tips to Extend Battery Life on Android Suffering from poor battery life on Android? 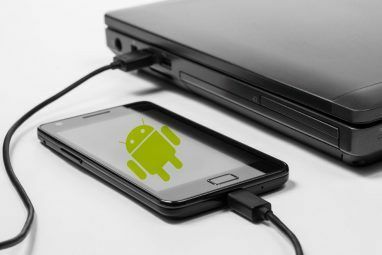 Follow these tips to get more juice out of your Android device's battery. Read More , not to mention the privacy implications of your analytics being sent to their server. But at $2.99, the Pro version seems like a lot of dough. So which one should you go for? I would advise installing Boomerang Notifications first. Try it out, see how it feels. If you like it, try out Notif Log Free version for a week. If Notif Log Free seems significantly better to you, then get the Pro version. Otherwise, roll back to Boomerang. The choice basically is between Notif Log Pro or Boomerang — just don’t use Notif Log Free. How Do You Make Notifications Better? The Notifications Shade of Android is one of the overlooked core elements. You can do so much with it, but most people don’t. 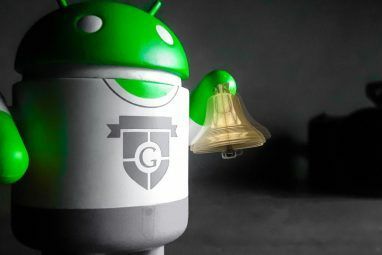 There are apps to add shopping lists Notif: Create Simple Notifications For Anything on Android 4.1+ Notif: Create Simple Notifications For Anything on Android 4.1+ In the past two hours, how many times have you glanced at your phone's screen? Twice? Five times? I wouldn't be surprised to hear if the number's even higher (do tell me in the comments).... Read More , apps to check notifications you accidentally dismissed, and much more. So we want to know how you do it. How have you made your Android notifications better? Which must-have apps or ingenious tricks do you use?